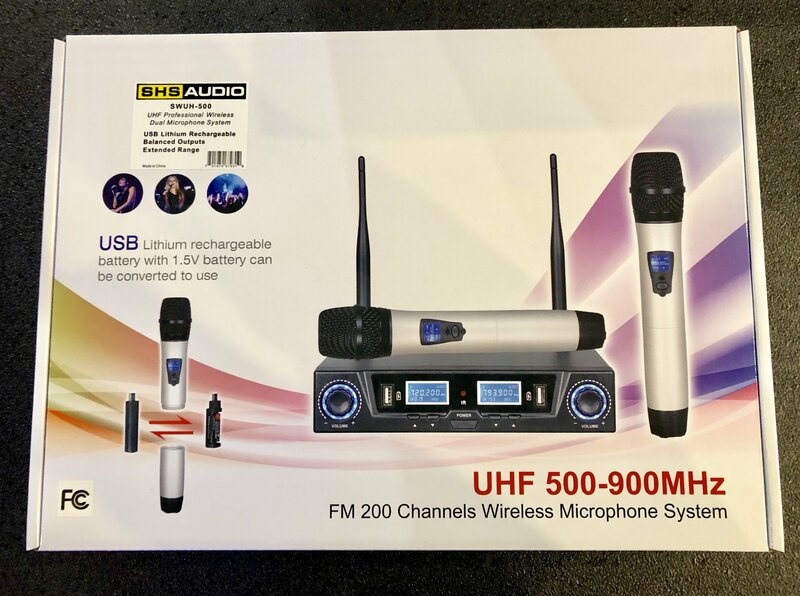 The SHS SWUH-500 is a UHF dual handheld wireless microphone system. The system includes 2 handheld dynamic microphones with rechargeable lithium batteries. This system is frequency agile and operates in the 500-900mhz range with 200 available channels. It has a balanced output.